A private living room press devoted to the literary and book arts, and to bridging—in some small way—the gap between art and life. 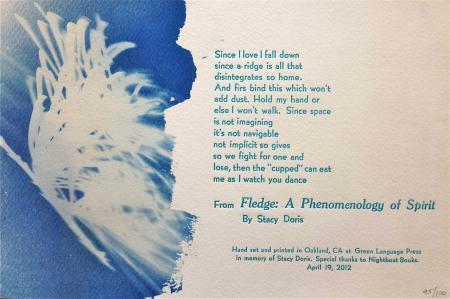 We print mostly limited edition broadsides, chapbooks and ephemera on C&P Pilot press, and distribute informally to other writers and friends. Founded in January 2010.